It's recommended that you bring your baby in for a visit within six months of the first tooth's eruption – usually around his or her first birthday. Book an appoint for your child here. Since decay can occur in even the smallest of teeth, the earlier your baby visits us, the more likely he or she is to avoid problems. 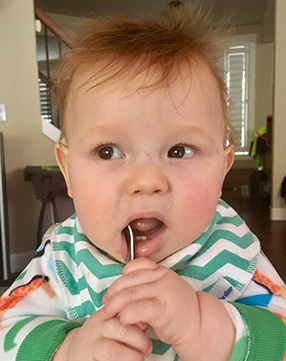 We'll look for any signs of early problems with your baby's oral heath, and check in with you about the best way to care for your little one's teeth. Remember that preparing for each dental visit with a positive attitude goes a long way toward making your child comfortable with regular checkups.